At the start of IONTO-COMED’s history is a battery-operated, galvanic iontophoresis device, that beautician Gertraud La Fontaine developed as a pioneer in the seventies, when fear of electrical appliances was still great among beauticians. To market the popular device and other treatment equipment, her sons created IONTO-COMED in 1979. The herbal vaporiser, IONTO-HERB, was already introduced at the beginning of the eighties, which is still a classic today because of its antiseptic effect. 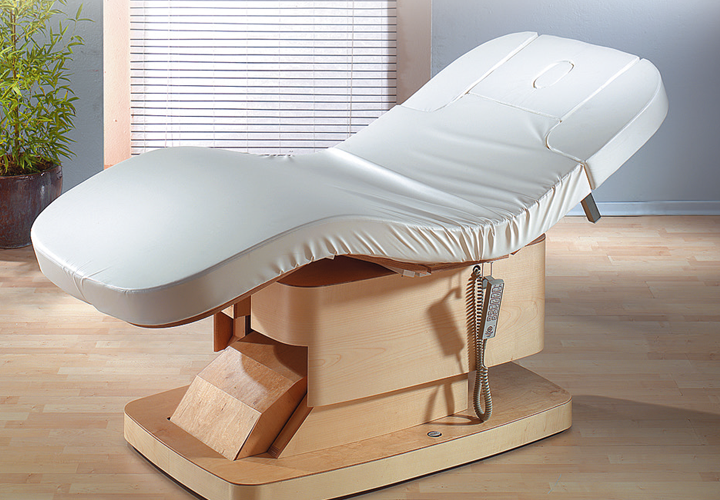 The first treatment tables from IONTO-COMED also came onto the market. Development into today’s no. 1 instrument-based cosmetics brand had begun. In 1990, IONTO established the modern production location in Nischwitz near Leipzig, which still serves as the development, production and logistics centre. And even in the new millennium, IONTO-COMED shapes the industry – in 2001 with the new wellness table concept and in 2013 with the SYMBIOSIS CONCEPT concept solution for combining compound and instrument-based cubicle treatments and home care.